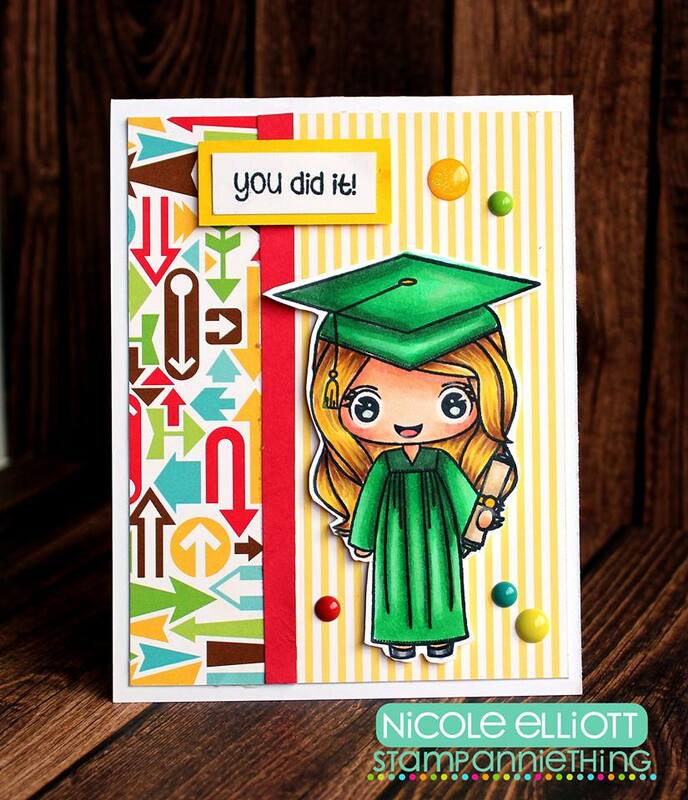 Stamp Annie Thing: You Did It!! I used "Annie - You Did It" for my image and my sentiment. 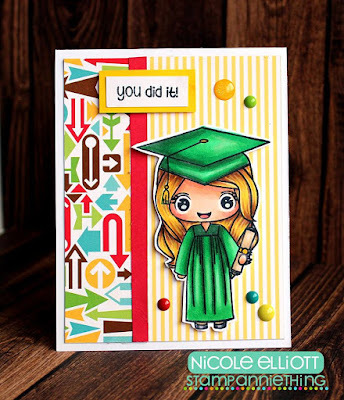 I colored the gown green as I have a few graduations to celebrate and those are the school colors so I thought it would be fun to personalize my card a bit. 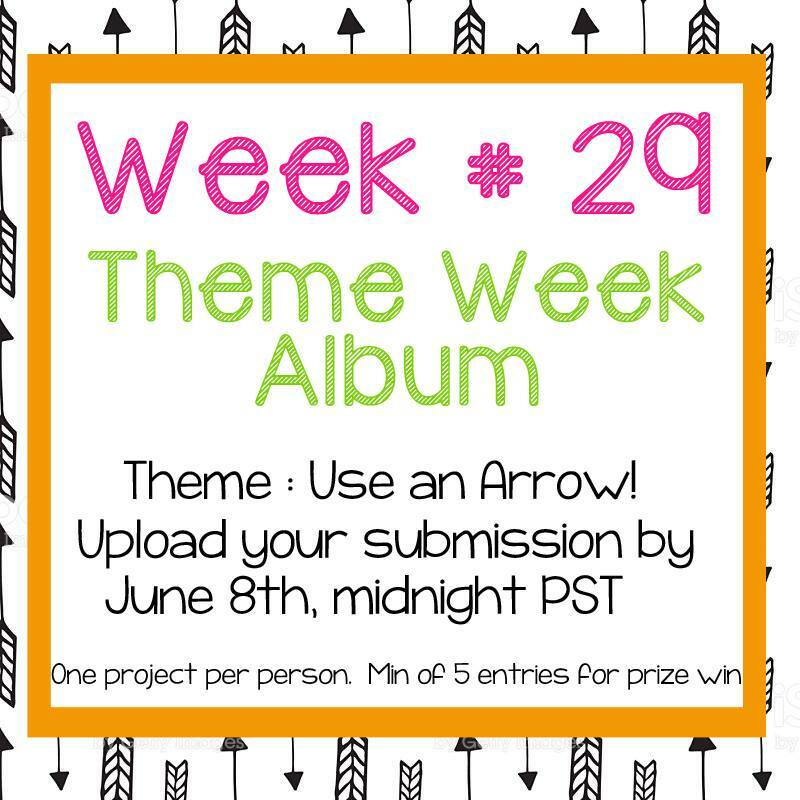 My card also fits into the monthly challenge theme "Use an Arrow on your project". 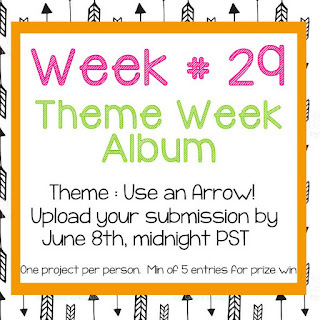 I hope you will play along with our current challenge. You can link your project up HERE. trop sympa pour féliciter un heureux diplômé!